With the recent tightening of air quality standards as mandated by the U.S. EPA, has come great pressure on regulatory bodies at all levels of government, along with the industries and groups affected by these standards, to better assess the hazards and risks that result from air pollutants. 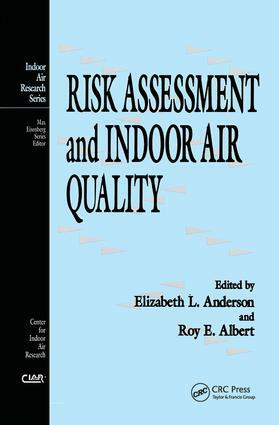 Risk Assessment and Indoor Air Quality carefully ties together the tools and methodologies of Risk Assessment to the study of indoor air quality. This informative text takes a look at the problem of long-term exposure to low-level concentrations of toxins. In addition to commonly found toxins, such as chemical fumes from furnishings and carpeting, and indoor use of pesticides, this unique volume discusses risks associated with exposure to indoor allergens and infectious disease pathogens such as Legionnaires Disease. Because few scientific models exist for understanding the dynamics of indoor air quality, Risk Assessment and Indoor Air Quality is an essential resource for all students and professionals involved evaluating, testing and monitoring indoor air quality.